Smashwords has had a nice facelift that they just announced last week! We’re happy to see the much cleaner interface homepage, and there’s a lot more than that in their update. 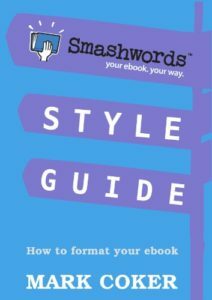 If you receive Smashwords’ emails and you look through their blogs and instructions in general, you know that while they are packed with information, they sometimes go on at length. In this post, we’re giving you the summarized version so that you can get on with your busy day and still be informed. Smashwords sales have grown between 2017 and 2018, which is the opposite from the rest of the industry. They’ve updated their homepage to look more like bookshelves. The Smashwords catalog now has over 500K titles, so look forward to more positive changes because of this significant number. You’ll now see nine shelves on the Smashwords homepage, and themed shelves are on their way. The homepage isn’t the only page to have these new shelves. All genres now have the same layout and filtering system. Homepage shelves will not recommend books you’ve already purchased through Smashwords. 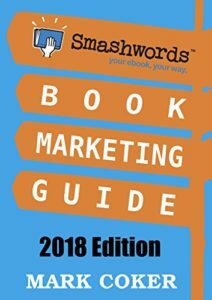 Like many social media sites, Smashwords has now updated its algorithm. 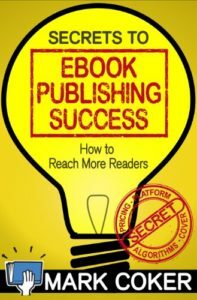 Books with the highest “reader endorsement” in terms of sales and downloads will determine where they show up on the shelves. As a sensitive genre, erotica no longer has the default setting of being turned off. Now first-time users will be prompted to confirm whether they want to see erotica on their homepage and in their shelves and searches. Instead of erotica being switched on or off with no further filtering or options, now Smashwords is allowing the reader to choose (1) no erotica, (2) only mainstream erotica, or (3) all erotica (includes taboo). Filtering can be done at any time from any page. You can always easily toggle between the classic interface and the new one. Distribute with Smashwords because sales at our retailers and library partners will boost your visibility in our new store. Release all future books as preorders, because preorders are proven to increase sales, and your preorder counts increase your shelf rank in the early days following your new release. Episode 4 of the Smart Author Podcast teaches you how to make your next release more successful with preorders. Make sure that end-of-year and beginning-of-the-new-year releases are submitted early to avoid missing your release date. Two weeks in advance of the release date is recommended. You can put your book up for preorder using Smashwords’ assetless preorder feature within twelve months of publication. “December 25 through the first week of January is usually the busiest ebook sales period of the year so this is a great opportunity to give your future releases some extra exposure.” Plus, preorders are high priority for both reviews and shipments. We all look forward to the Smashwords End of Year Sale, which starts December 25 and runs through January 1. Enrollment begins early in December, and the form for it will include a bulk enrollment option. If you’re an author or publisher who needs to enroll a large list all at once, this is for you. This entry was posted in Publishing and tagged smashwords assetless preorder, smashwords email summary, smashwords end of year sale, smashwords erotica update, smashwords news, smashwords preorder, smashwords shelves update, smashwords site, smashwords update, smashwords updates. Bookmark the permalink.